The battle between the University of Guyana unions and administration took a new turn on Thursday when the embattled Vice Chancellor Jacob Opadeyi sued the President of the University of Guyana Senior Staff Association (UGSSA) Dr Mellissa Ifill for alleged libel. According to court documents seen by Stabroek News, the suit originates from remarks Opadeyi deemed defamatory in a document titled ‘Petition of No Confidence in University of Guyana’s Vice Chancellor Professor Jacob Opadeyi,’ dated 23rd June, 2015, and circulated widely by email and other media. At a meeting on Tuesday, April 23rd at the Turkeyen Campus, the staff voted overwhelmingly to support a No Confidence Petition against Opadeyi. The No Confidence Petition, which was first floated in April 2015 and drafted by a member of the academic staff, was wholeheartedly supported by the executives and membership of the University of Guyana Senior Staff Association (UGSSA) and the University of Guyana Workers Union (UGWU), the unions said in a joint release. The release, which was circulated by Ifill, said that it was agreed at the meeting that the petition would be tendered to the current University Council as well as the impending Council, which is scheduled to be convened in July 2015. It was also agreed that the petition would be dispatched to the Minister of Education Dr Rupert Roopnaraine. Both Dr Opadeyi and his counsel Anil Nandlall told Stabroek News yesterday that the decision to file action against Ifill and not the union was due to the fact that she “sent the emails” with the alleged defamatory statements. The matter will be heard on July 7th, 2015 in the court of Chief Justice (ag) Ian Chang; in the meantime an injunction has been granted against Ifill preventing her from repeating the claims. Since earlier this year the unions and the administration have been at loggerheads. The collapse of wage negotiations heralded five weeks of industrial action which ended in March after Terms of Reference were signed, and which temporarily returned order to the university as the parties continued attempts to put in place a permanent solution. Speaking with reporters on Thursday last, Minister of Education Dr Rupert Roopnaraine expressed the opinion that the no confidence motion closed off all options for reconciliation between the unions and the administration. “I don’t like conflicts where they rule out reconciliation”, he said. 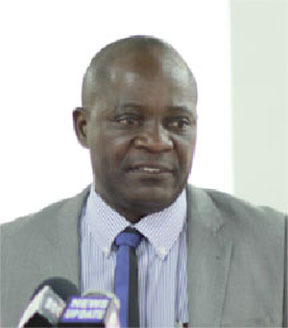 A new University of Guyana Council is expected to be constituted in July.